Overview: Fancy a night out with the girls? See if some new accessories and this stylish high rise Manhattan bar are a winning combination. 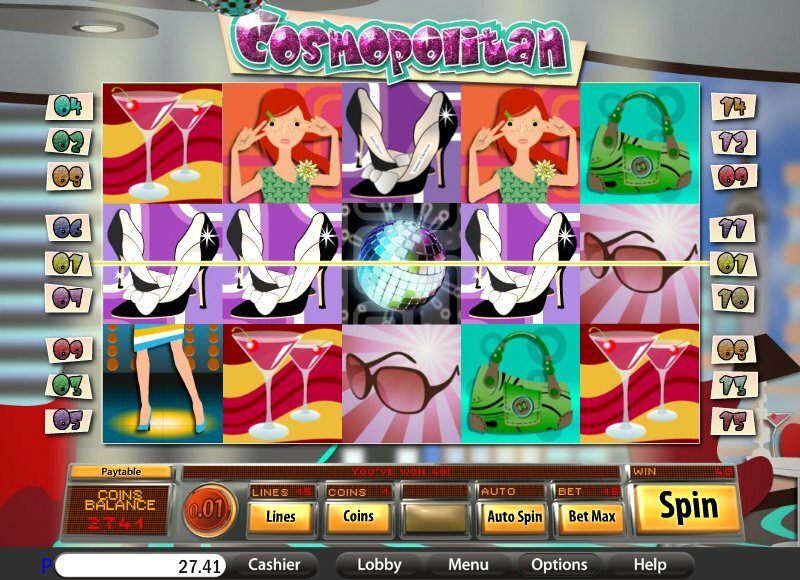 Free spin your way across the dance floor as the sun sets in this chic video slot. 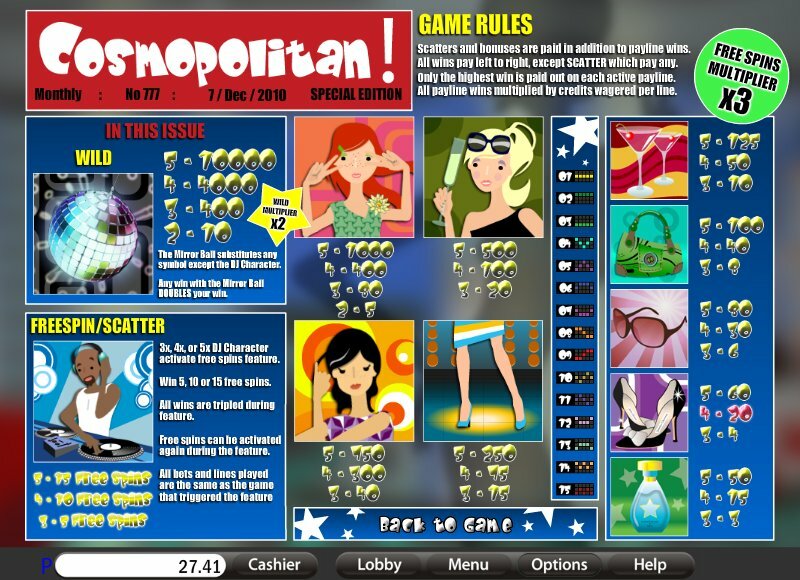 Similar Slots: If you like Cosmopolitan, you might like these other slot machines from Saucify: Buckin' Bronco$, Pieces of Eight, Road Trip, Royal Banquet, Wild Berry, Wild Wizards.